After finishing MacBain, it’s time for his battlegroup. Toro was my first choice. 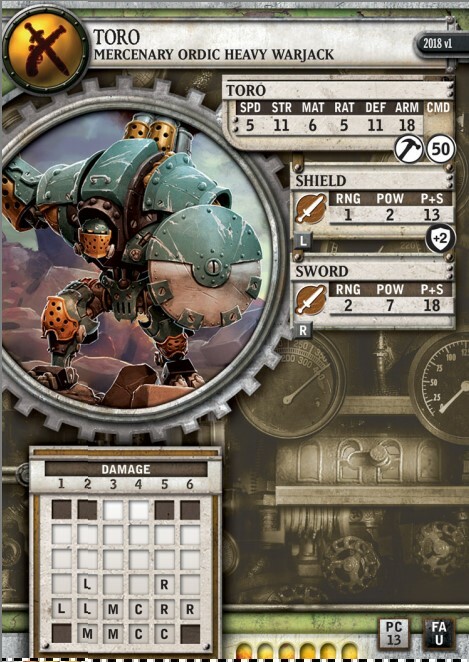 Crucible Arms has taken over the production of the Ordic Toro chassis, an aggressive workhorse heavy warjack armed with sword and shield that has fought with the Ordic Army for decades. 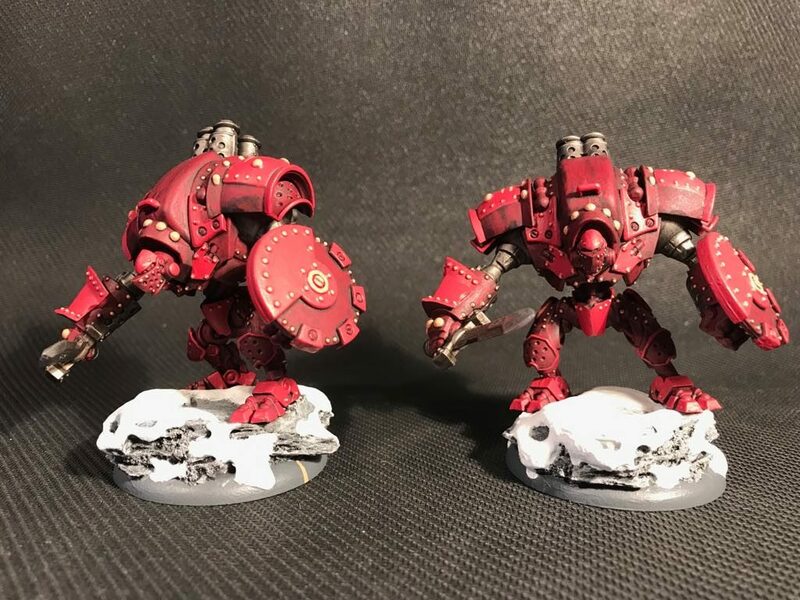 As a part of the Crucible’s agreements with Ord’s king, Crucible Arms now produces Toros in number, as well as variants outfitted with proprietary weapons better suited to the methods by which these alchemists wage war. Energizer – the easiest way to speed up Toro. With this spell, our Jack can charge targets 12″ from him. Fail-Safe – with this spell, Toro has 22 ARM. Additionally, Toro’s system can not be crippled, which can cause big problems for our opponent. Toro has “only” MAT 6. Rerolls from Fortune will be very helpful. Jackhammer – is there anything better, than additional attacks for such a hard hitting Jack? 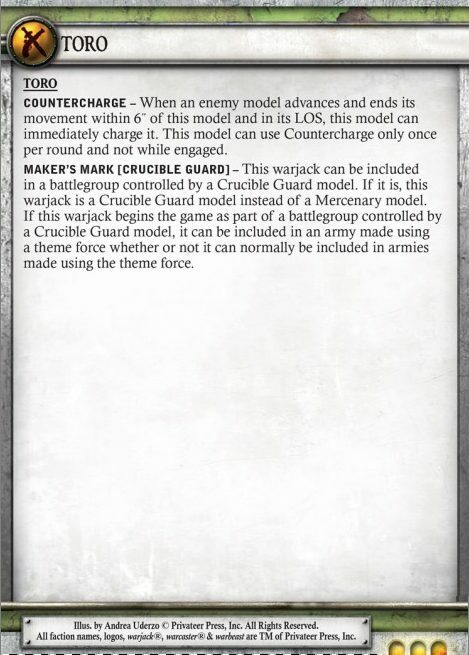 I think, this Jack is one of the best available for Mercenaries. With such a great spells list, MacBain should love Toro. Thanks to Irregulars theme and Energizer spell, if I only start the game, Toro can finish their movement at 24″.